Gracilis is the latin word for slender. 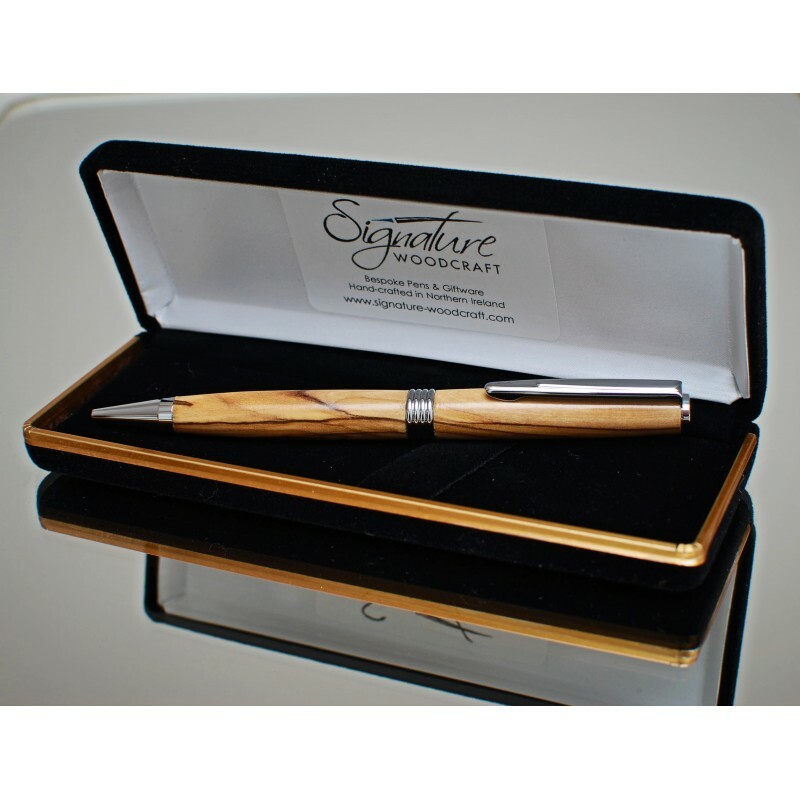 This pen is a variation of our Scribe pen. 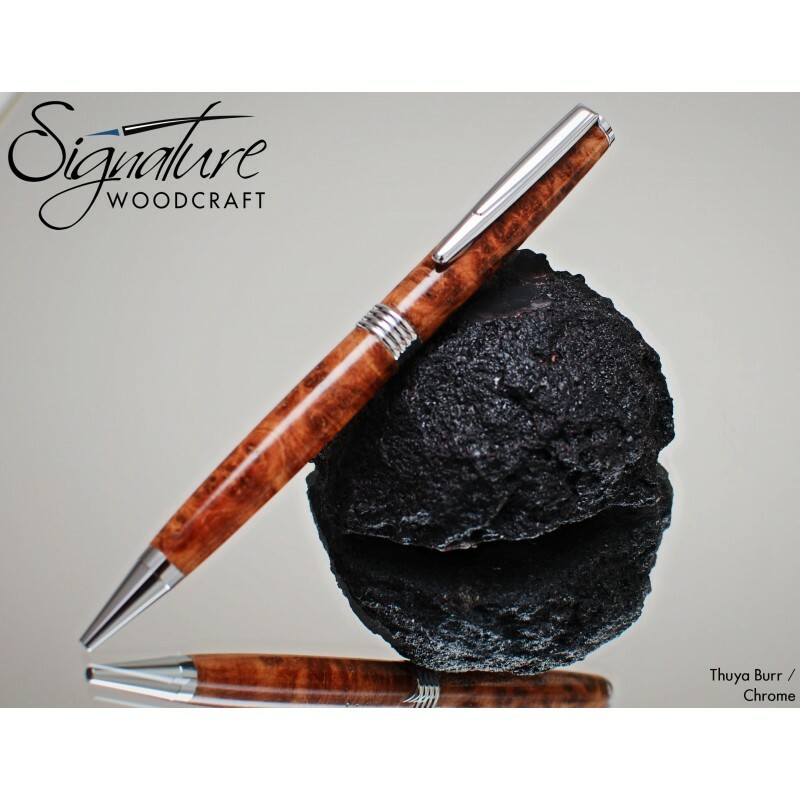 It features a tapering pen body, with a custom 4-band centre ring. Lightweight and feels good to use. 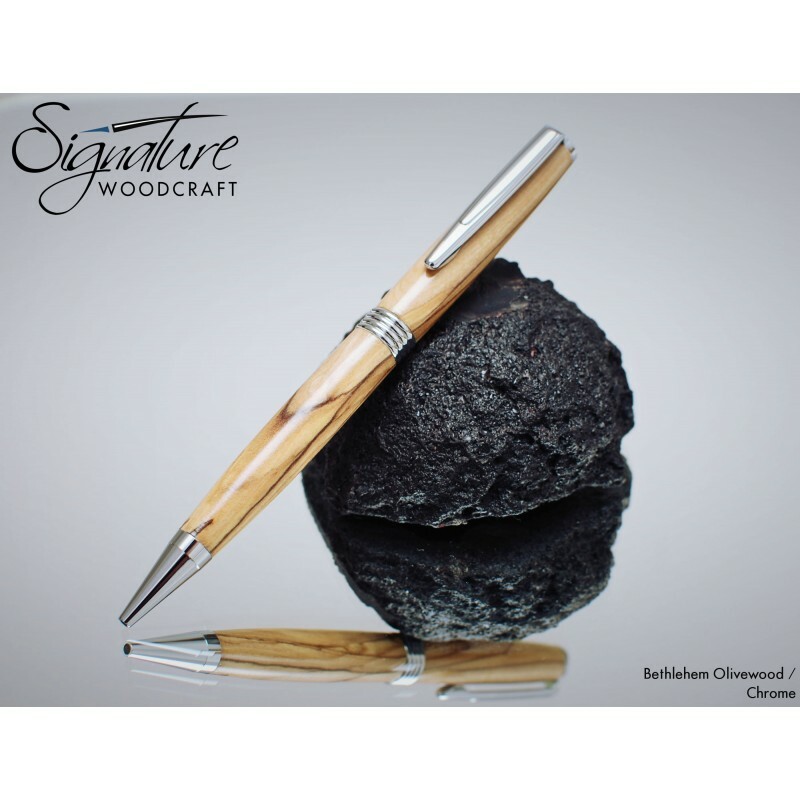 This is an excellent pen and well suited for any recipient. 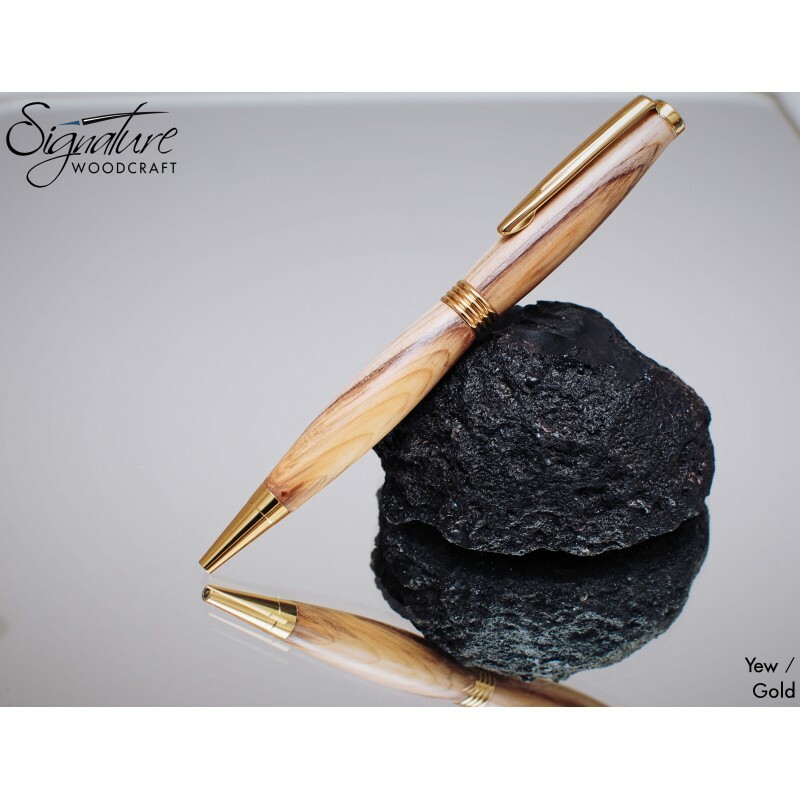 Available in both Chrome and Gold and comes with a black velvet presentation case.